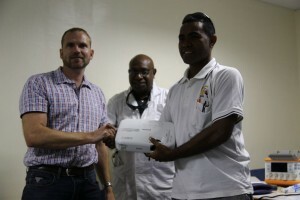 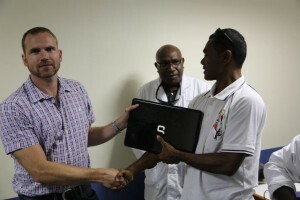 Mater Children’s Emergency department (Brisbane) donation Feb 2013 – delivered by ED reg Zafar Smith, presented to Sister Rayleen Tafatu Nurse Unit Manager for Port Moresby Emergency – Feb 2013. 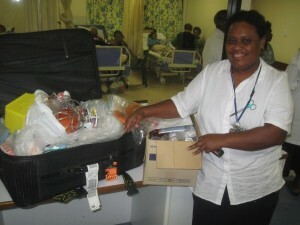 Resus equipment: ambu bags, face masks, ET tubes – thanks to nurse CB for coordinating accumulation of goods from Mater. 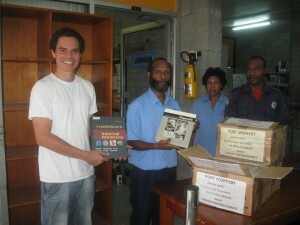 See related video of Sister Tafatu mentioning donation of goods. 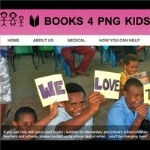 Sister Rayleen Tafatu – Nurse Unit Manager, Port Moresby Emergency Department from EmergencyMedicinePNG on Vimeo.